Your blue/yellow flying geese are fabulous! 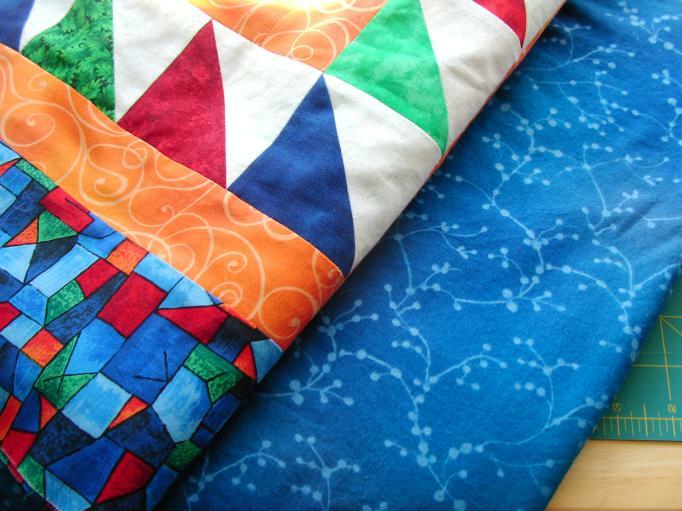 That’s going to be a dynamite quilt! on April 19, 2009 at 8:53 pm | Reply Judy L.
Can’t wait to see yours done in the blues and yellows. It’s going to be so pretty! Good job on the stash report too! Love the blue and yellow. And great Stashbusting results! I used to only count fabric when the quilt was finished but now I count it when the top is finished and then when I piece the back and binding and them all together for quilting. I’m tempted to play along with Judy’s stash project but I’ve got a lot on my plate through May so I’m going to focus on my to do list instead. 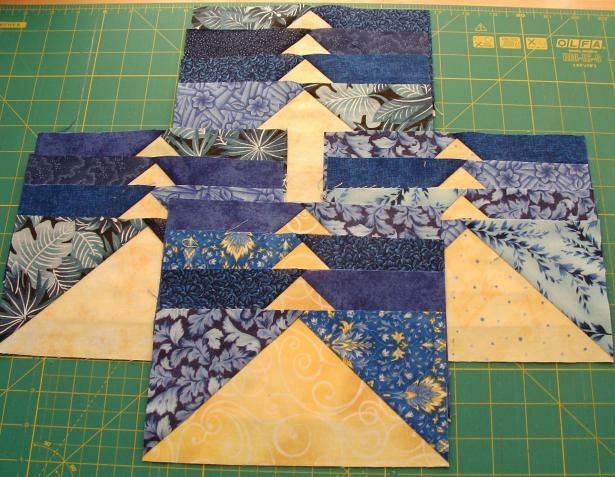 The blue/yellow quilt will be beautiful. I can’t wait to see the finished product!